The patent, published in August, is titled "System and Method for a Biometric Feedback Cart Handle". 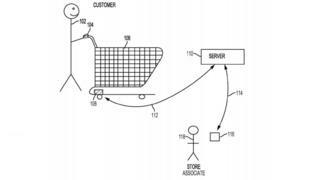 Walmart said that the internet-connected trolleys would be useful "for alerting store associates that a customer may need assistance". It described how the trolley would start collecting data when a customer starts using it and stop when it is no longer in use. Technology blog CBInsights commented on the patent: "If biometric indicators show signs of emergency, the program may also issue a broadcast throughout the store to call associates' attention to the situation, and could potentially initiate a call for emergency medical help as well."